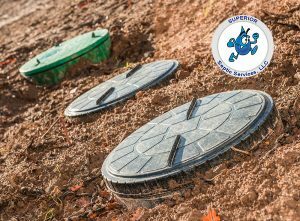 Superior Septic Services is ready for your septic service near Monroe. Septic tanks are, for the most part, passive systems especially the gravity feed types. Therefore, they don’t require a lot of maintenance or service. It is still a good idea to check on your home sanitation system at least once a year, just to make sure that everything is in good working order. Septic tanks are becoming more complex. The changes make them more efficient, but the more moving parts are added the more there is that can go wrong. Many newer septic tanks include submersible pumps. As you probably already know, a pump is one of those mechanical things that can develop a problem. We check those as part of your septic service. Other things that can be included are a camera inspection, which is a good way to detect problems without spending a lot of money. Baffle repair is a common item on a service visit check list. We can install filters at the end of old septic systems or change out filters where they already exist. 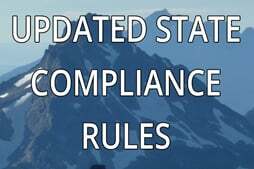 Risers are now required on all septic systems, bringing the inspection hatch up to the surface of the ground. We can retrofit and older system with risers, and we can check existing risers to make sure the lids are securely fitted. Call Superior Septic Service at (425)905-2485 to schedule your yearly septic service near Monroe today. It is one of those home maintenance expenses that no one loves, but it can prevent big problems by catching the little ones early. No one can guarantee to prevent all problems with a system, but we can promise to check your system carefully, create an honest estimate of any repairs that we believe need to be made, and once we have your go ahead, fix the problems.